The Algarrobos House project was completed in 2011 by the Ecuadorian studios José María Sáez and Daniel Moreno Flores. The design was driven with environment and function as the starting points. Large cantilevers point towards the ravine, two masts mark the presence of the home. 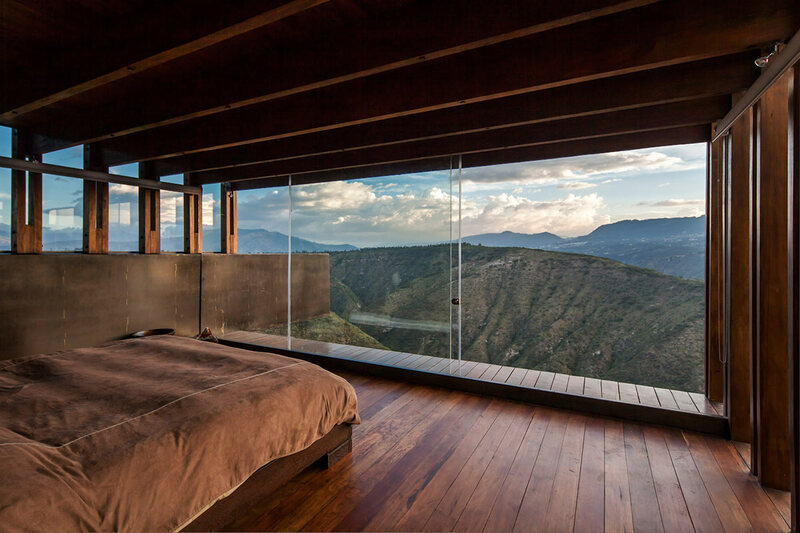 This residence is located in Calle del Bagazo, Puembo, Ecuador.